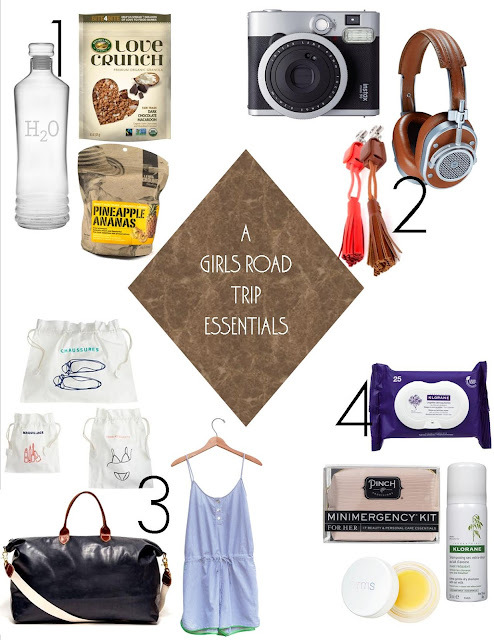 In keeping with the spirit of last week's A Girls Road Trip post (here x here), I decided to give you a few tips on what is most essential when on the road. Girls travel much different then guys do, at least in what they carry with them, girls need several key essentials to avoid any mishaps. Guys can easily go with one pair of underwear, one t-shirt and a pair of jeans and that is good enough for them, So to help all my lady gals and to inspire you to take a road trip with your girls, here is a list of the must travel with items. And that is not all, aside from this awesome guide on what to take on your road trip, my friend Sandy Lee of Madly Addictive (who was part of the Girls Road Trip) x I have partnered to give one of our readers a chance to win a Visa giftcard worth $50 to help you get started on your road trip essentials. 1 | Follow Madly Addictive on Facebook HERE x Chic Streets x Eats HERE (if you already follow us then skip this step and do step 2). 2 | Leave a Message below letting us know what you will get with your giftcard x your email. Giveaway ends on 10/10/14 at midnight.